The National Museum of the Bargello is Florence’s sculpture museum. Its collection of Renaissance statues is considered among the most important in the whole world: masterpieces by Michelangelo, Donatello, Ghiberti, Cellini, Giambologna, Ammannati and other important sculptors, as well as a large collection of applied arts. 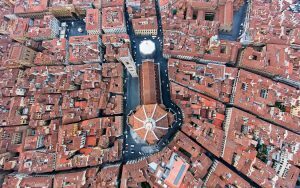 The name “Bargello” comes from the mansion (also called the “palazzo del Popolo”) in which the collection is housed. The Bardini Museum presents more than 2000 pieces of sculpture, painting and applied arts objects from antiquity up to the eighteenth century, with a preponderance of objects from the Middle Ages and the Renaissance. It takes its name from its founder Stefano Bardini (1836-1922), a very authoritative Italian antiquarian, who decided to transform his collection into a museum and to donate it to the city of Florence. It is necessary to confirm participation by paying the fee by the 26th of October. Fee: 40€ (includes tickets and guide; does not include lunch and travel costs). Further information is forthcoming.